At Coachella, you never forget you are in the desert. The lush oasis of green grass and palm trees just underlines how thoroughly inhospitable to sustaining life the climate feels. During a historic California drought, watching Coachella workers in irrigating golf carts continually spray water on Indio’s dusty polo grounds felt extravagant. But attending Coachella is not about questioning conspicuous consumption – it's about perfecting it. And I have come here to see Guns N' Roses, whose Appetite for Destruction defined the stratospheric heights and infinite depths of 1980s excess. Indiana redhead William Bruce Bailey (later known as Axl Rose) and British guitar virtuoso Saul Hudson (nicknamed Slash by character actor Seymour Cassel after moving to L.A. as a child) are one of the great productively flammable partnerships that fill the history of classic rock and American literature. Bromances between lead singers and guitarists can be especially fraught – intellectual Tom Sawyers saddled with thrusting Huck Finns. (The guitarist is not necessarily the groin; Diamond Dave is the hips to Eddie Van Halen's technically-oriented brain.) Axl and Slash may have purposely patterned their double-wild-card dynamic after the "Toxic Twins" bit of Aerosmith’s Steven Tyler and Joe Perry, who were themselves aping the “Glimmer Twins,” Jagger and Richards. Or maybe successful hard rock bands are just the right humid environment to grow this particular kind of folie à deux. Either way, Guns N’ Roses’s two most important founding members had not spoken in nearly 20 years before the 2015 thaw that led to Coachella. In the intervening time, Slash formed Velvet Revolver and released solo albums, while Rose burnished his rep as an eccentric diva – a Howard Hughes type with an obsessive attention to detail and an insatiable need for control. In 1997, he bought the Guns N' Roses name to use himself; he grew reclusive and sequestered himself in expensive recording sessions, dancing with Mr. Pro Tools for years on end. It's the meeting of these two that makes this the first real Guns N' Roses reunion. The common narrative that the excess and bombast of hair metal were punctured by the arrival of grunge – that the pyro was snuffed by flannel – holds true more for the fluffier pop metal borne of the Strip than for Guns N’ Roses. In fact, despite Kurt Cobain's well-chronicled hatred of Axl Rose, the two front men possessed similar traits in the 1990s — a love of The Beatles (speaking of rock and roll bromances), a striking androgyny, and a deft way of making their genius seem easy. GNR were a transitional animal anticipating grunge, which for all its beef with the jockishness of hair metal was just as obsessed with shredding. After Slash left, Rose laid the band’s initial legacy at the feet of a rotating cast of ringers, with himself in the starring role of the captain lashed to the mast. Grunge didn’t kill Guns N' Roses. Axl did it all by himself. Coachella is a vast Pleasure Island of music, drugs, and hot people in silly outfits. The 2000s revival was in peak swing this past weekend. Fashion has cycled back around to exactly where it was when I was in high school. 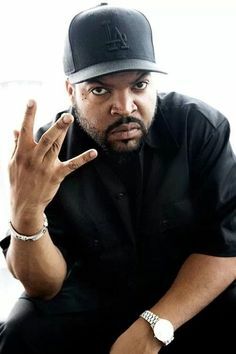 I witness so many teenage Cali bros in Kobe Bryant jerseys spuriously throwing up the West Side symbol (the L.A. gang sign that Ice Cube and 2Pac made shorthand for West Coast pride) that I get flashbacks. Maybe I'm just another Coachella cougar trying to relive my youth. Flower crowns, cutoffs, and tie-dye are predictably ubiquitous, but I'm shocked when I see my first bro in a war bonnet, since I thought that racist cliché might have been trimmed from the Coachella uniform by now. This year's clothing meme is overalls — every possible variation on the style, often with one or both straps hanging off. Some people wear nothing under their overalls, a look I dub "the Dexys Midnight Runners." In a throwback to the actual Summer of Love, there is tension in the air. On Friday, a group supposedly chanted "No Español!" to festivalgoers singing a song in Spanish to pass time while waiting for M83's set. I hear a rumor on the second day that Guns N' Roses superfans, who show up first thing Saturday to camp out in front of the main stage all day, had disrespectfully turned their backs to Run The Jewels during their 5 p.m. set. I am thrown back into the present wondering who is still rockist enough to show such contempt for rap. Considering how bumpy some Coachella reunions have historically been (OutKast's rocky 2014 set, The Replacements’s Paul Westerberg strewn out on a couch), my hopes were high but expectations low for Guns N' Roses’s reunion. Rose had broken his metatarsal at the band's first official reunion gig at L.A.'s Troubadour two weeks earlier, so it was a foregone conclusion that there would be no snake dancing. And the prospect of Axl parked in Dave Grohl's stupid guitar throne was embarrassing to even imagine. It was impossible to sift the suspense from the excitement; I spent the day wondering what would happen when Axl and Slash stepped onstage for the reunion they had both been so adamant would never happen. For years, Axl publicly trashed Slash, while Slash spoke regretfully about their rift. In 2009, Rose said "What’s clear is that one of the two of us will die before a reunion and however sad, ugly or unfortunate anyone views it, it is how it is.” In 2012, Slash said more bluntly about Rose, "He hates my guts," but also tenderly admitted, "I really, in my heart of hearts, wanted to have the whole original band get together and actually perform" at their Rock and Roll Hall of Fame induction ceremony, a dream Axl Rose dashed. In 2014, Slash democratically stated he had "a hard time picturing" a reunion. In 2015, Axl and Slash spoke again for the first time since 1996, an interaction Slash called "probably way overdue." Clearly something - vanity, money, legacy, or enough time passing - gave Axl a change of heart. The crowd buzzes in the field. The air is warm, smelling like trampled sod and freshly lit joints. The distance-softened thump of Zedd’s set wafts in from next door. A GNR logo screen saver is projected onstage, in which the animated gun fires off rounds. The crowd goes hushed, but nothing else happens yet. Then the gun shoots again. These last minutes feel endless and my mind races through my concerns: Will Axl show up on time? He never shows up on time. What of the broken foot? These guys hated each other for 20 years. Can they bury the hatchet long enough to make 5 million dollars for the gig? Does it matter if they did it for the money if they pull it off? Will they phone it in because they really do hate each other? Will Axl sound like himself when he sings? Breaking the lull 10 minutes after the alleged start time, the Looney Tunes theme plays at top volume. The band takes the stage and launches right into "It's So Easy." Slash looks virtually untouched by time, still breathtakingly rock and roll. The same can't be exactly said for Axl, who begins the show without any of his trademark headgear, exposing his vulnerably balding head. But despite the new hairline and tight face, Axl smiles and looks unmistakably like his younger self, and I feel only sentimental and soft-hearted toward him. We can’t all be Slash. Unable to run around on stage, Axl dances from the chair, mostly with his arms and hair like latter-day Britney Spears (who has danced this way ever since she fucked up her knee in 2004). But most importantly for Axl - he is hitting all the notes. His look may have changed, but his voice is in amber. There is no banter between the band - that would be asking too much. But by the time they get to "Welcome to the Jungle," it's clear that Slash and Axl are speaking again, at least through their instruments. Axl apologizes for being unable to "do my thing" and brings out Angus Young as a consolation prize. Young hops across the stage nonstop for two AC/DC covers. This too is a brand activation disguised as an impromptu stunt - Rose will join AC/DC for a world tour as a temporary lead singer. And while Slash doesn't say anything, he steps out for two instrumental solos during the set: Nino Rota's love theme from The Godfather (Axl does not sing the lyrics) and a cover of Pink Floyd's "Wish You Were Here" that the audience sings for him. Duff McKagan gets his moment to shine as well - he does the first verse of Johnny Thunders's "You Can't Put Your Arms Around a Memory" and segues it into The Misfits's "Attitude" (a "The Spaghetti Incident?" cover). Steven Adler was not asked back, replaced by drummer Frank Ferrer. Izzy Stradlin also sat this one out, having long ago bowed out for personal reasons. The band has a new keyboardist: Melissa Reese, who sports Hatsune Miku hair and plays synths. Axl flubs her introduction by referring to her as "Mr." before correcting himself. They do every major Guns N' Roses song except "Don't Cry." They play "Estranged," giving me a chance to contemplate how well the song has actually aged. At the end of the set they do "November Rain," during which Axl sits down at the piano and I wonder why they didn't just put him in front of a piano the whole time. This segues into their cover of Bob Dylan's "Knockin' on Heaven's Door," and time collapses in on itself into an eternal present. They play for two and a half hours, thoroughly working out the crowd. By the end, everyone is spent except maybe the band, who seemed so thrilled to be killing it that they could have played for a couple more hours. The onstage resurrection of the live Guns N' Roses is like seeing an animal you’ve only read about. How surreal in 2016, when Coldplay are probably the biggest recent rock band, to think that rock music was considered culturally dangerous for decades. In the 20 years since the OG GNR left the scene, rock has long been surpassed in conservative fearmongering by rap and EDM. GNR aren’t the only guitar-centric band on the bill, but they’re a direct line to a different time in the music business - when everything was physical by default. Maybe Guns N' Roses are no longer dangerous, but they’re live. Axl and Slash both bring a feeling of spontaneity, possibly just a very well-practiced illusion, to their incredibly technically proficient crafts. In a giant, oiled machine like a reunion gig at the world’s highest-grossing festival, conjuring playfulness and presentness while doing songs you’ve done a million times before in your life is an example any act at the festival looking to have a long career should follow. They go four minutes over the official 1 a.m. curfew, breaking Indio's ordinance and costing Coachella huge fines. Maybe they’re still a little dangerous.